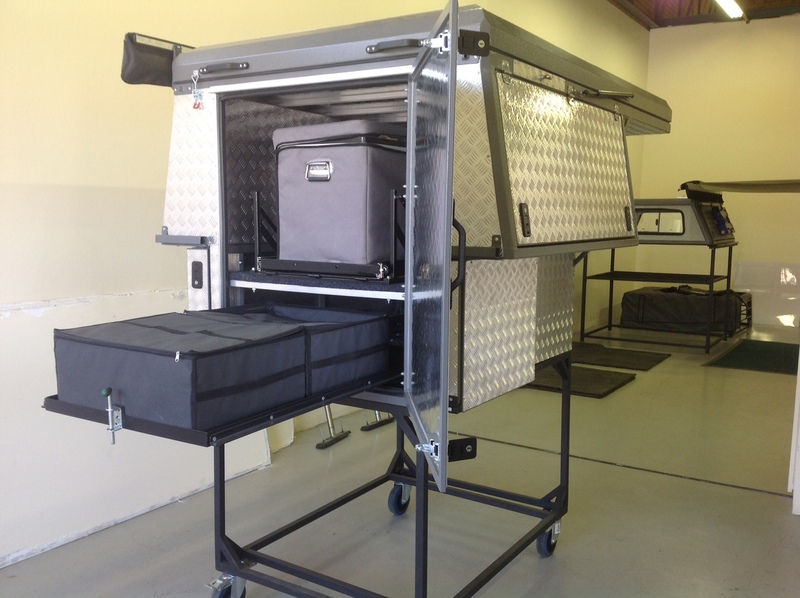 Over the past few years Custom Leisure Tech has built a number of camper units to suit customers specific requirements. From that experience we have now developed our own range of camper units. 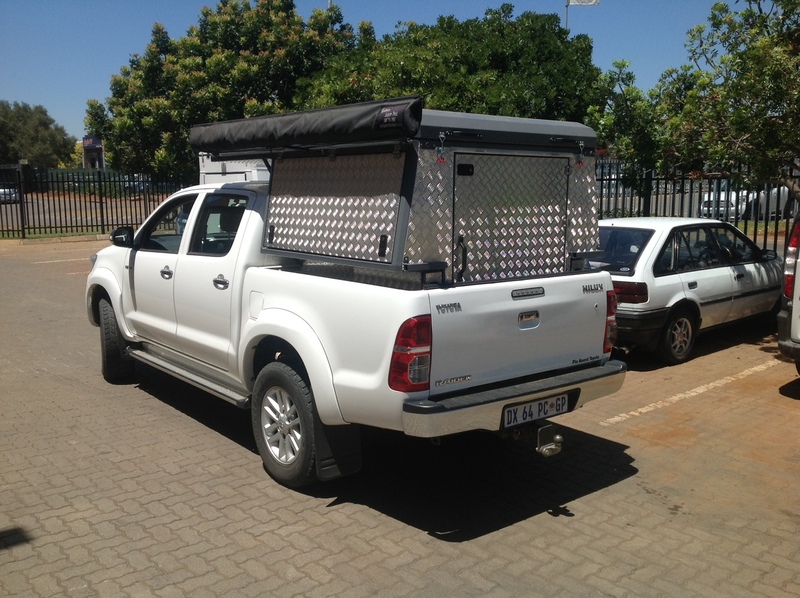 Our campers are built as a sealed unit which you load into the load bin of your bakkie, the reason we opted for this system is that it makes loading and unloading very easy. 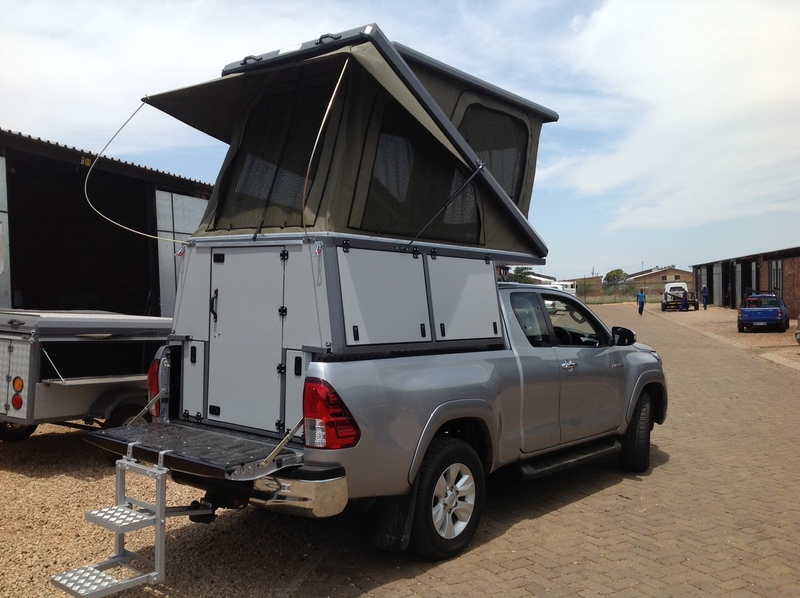 The campers are supplied with 4 x lifting legs that fit into each corner of the camper so you can reverse your bakkie underneath the camper fasten the bolts and away you go. We offer a one size fits all Double cab unit, a one size fits all super cab unit and a one size fits all single cab unit. 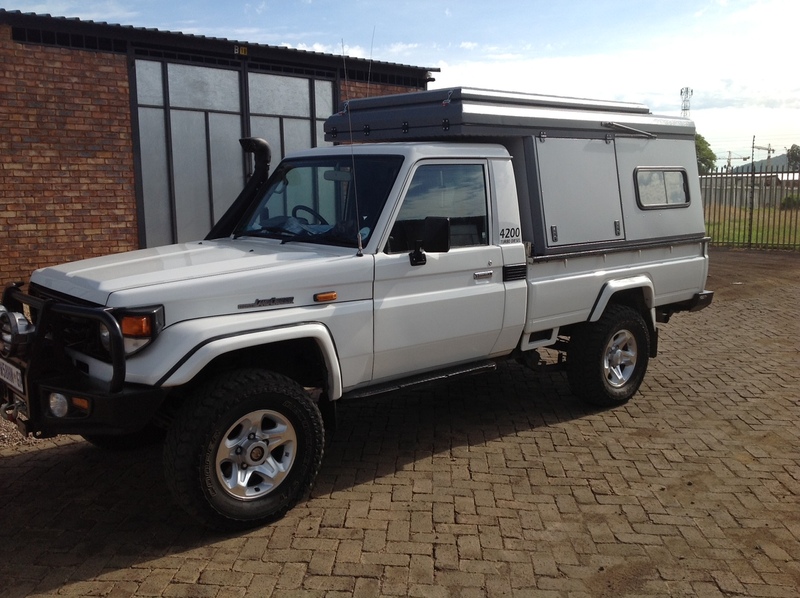 We also offer units for both the double cab and single cab Land cruisers. 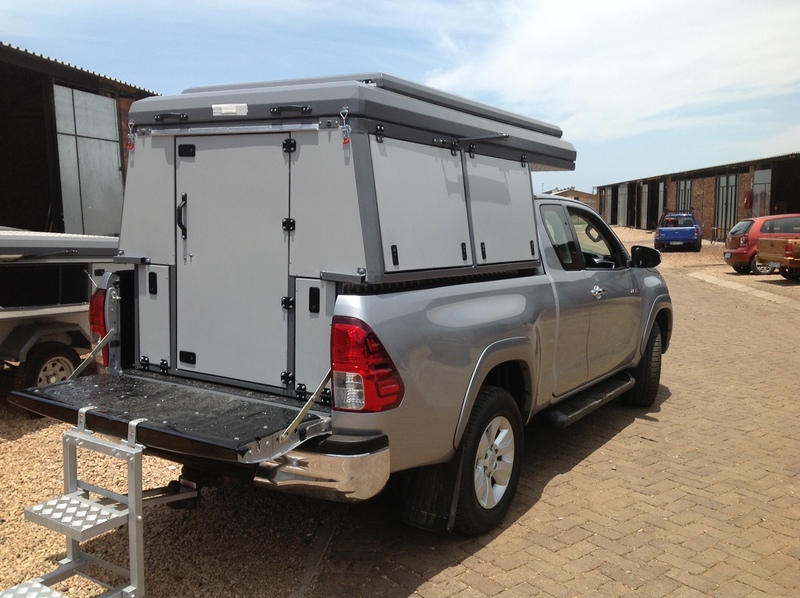 As standard our Campers come with side and rear access doors with a built in hard shell roof tent on top which you access from the outside however upon request we do also offer the option for you to be able to access the bed from the inside of the camper. Another option available for the tent is the double pop up system (where the front part also pops open) as shown in some of the pictures. 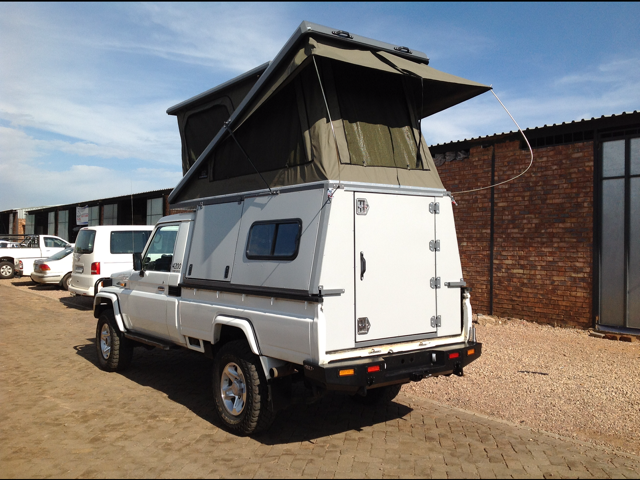 There are many options available for the campers such as, Kitchen and storage units, drawer systems, water tanks, 12v and 220v power, led lights, windows, various colours, Internal carpeting, side awnings, Added rooms for the roof tent, fitted table and fridge freezers to name but a few. If you would like more information about our camper units or if you would like to arrange a viewing then please do not hesitate to contact us.